CompuMove Systems provides fully integrated moving systems with a customized resource managment installation for a unique personal fit. 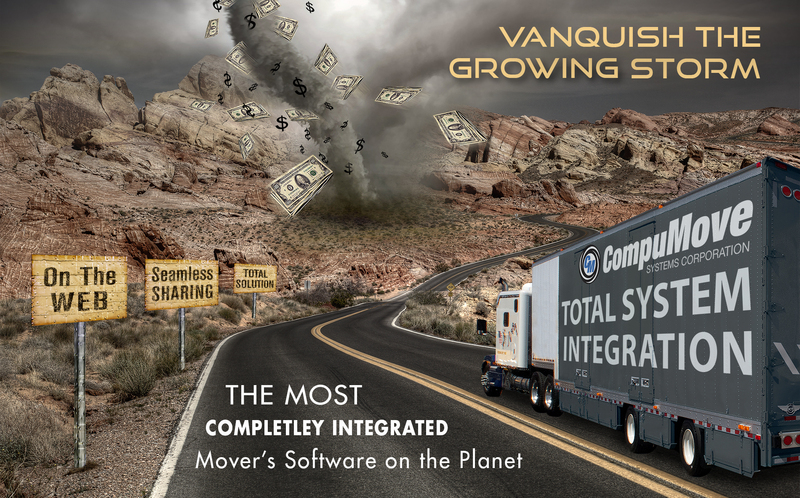 There’s a lot of “Moving Software” out there, but there’s nothing else like CompuMove’s Fully Integrated and Customized Moving Systems. ✓ Diversified Multi-Branch Relocation Company? ✓ Van Line or Military Agent? ✓ Metropolitan or Regional Mover? See for yourself the difference experienced, proven performance makes! TRUST THE EXPERIENCED PROFESSIONALS AT COMPUMOVE: HUNDREDS OF SUCCESSFUL INSTALLATIONS SINCE 1984!